This time last week I was in Portugal with the champions of Wales, now it’s back home to Park Hall but spending time on the training pitch covering the session is not a bad way to spend a morning morning, however you look at it. In with the usual stuff was a first interview with new signing, Danny Redmond. We had a really good chat and he comes over really well. 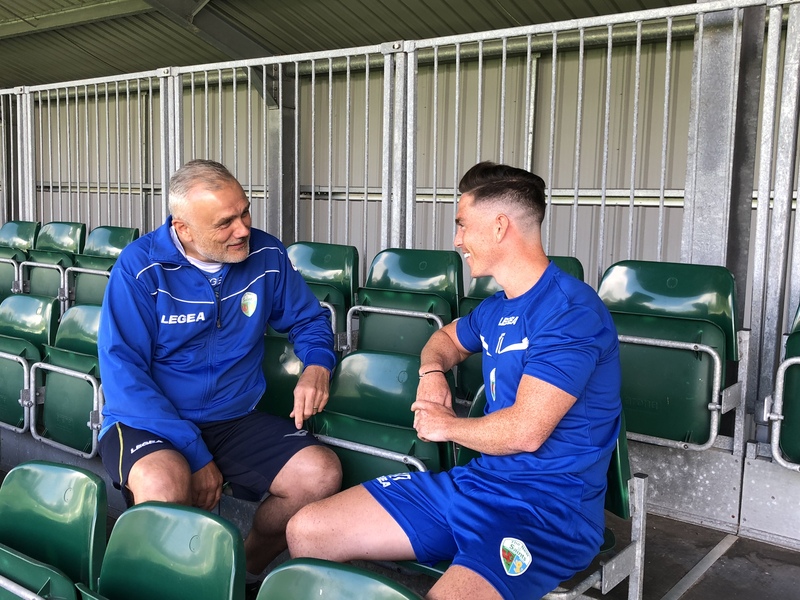 The interview will be on the TNS FC website this week. He’s been at Hamilton Academical for the last four years and he’s another one of Scott Ruscoe’s signings as our manager looks to mould the side in his own image. If you’re a Manchester City fan and you’re wondering about the surname, yes there is a connection. Danny is the son of the ex-player, Steve, who racked up more than 200 appearances for the then Maine Road side. Once the working day was over I played a game of football myself on the Park Hall pitch, in the Monday Night League. Not the result we wanted but it’s always good to play. Then it was the England v Tunisia match, live on the screens at The Venue (Park Hall). A great start to the World Cup campaign and if I were doing a match report the headline would have been Tunisia Kaned As Harry Sees Double. Not a bad way to spend a Monday morning? Not a bad way to spend a Monday all round, if you ask me.